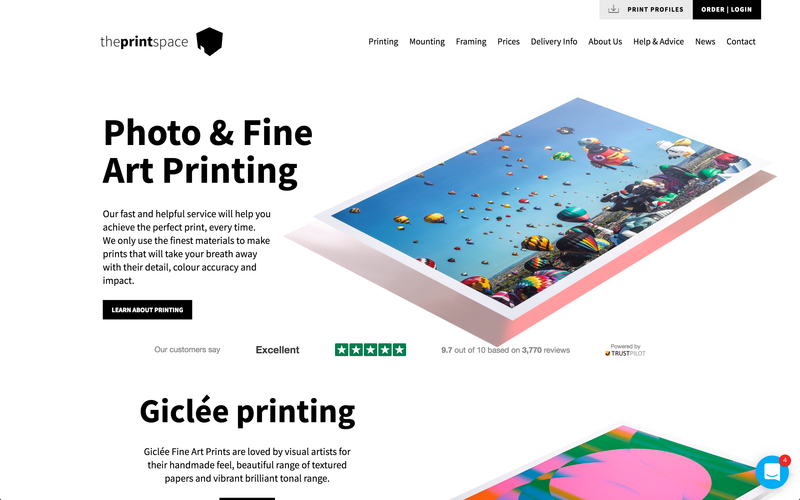 A step by step guide for new customers on how to order online with theprintspace. 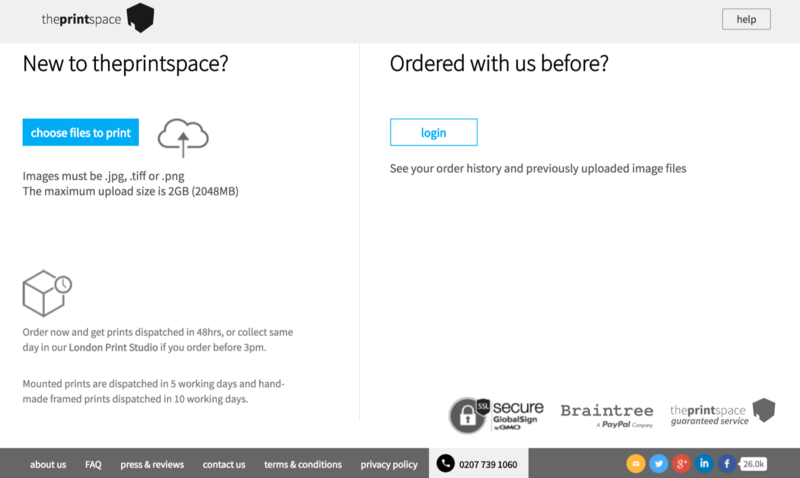 Please see below our step by step guide on how to order your prints online if you are new to theprintspace, from uploading your files to the printing, mounting and framing options available. First go to our website at www.theprintspace.co.uk. On every page, on the top right, you will find an “order/ Log in” button. Click on this. 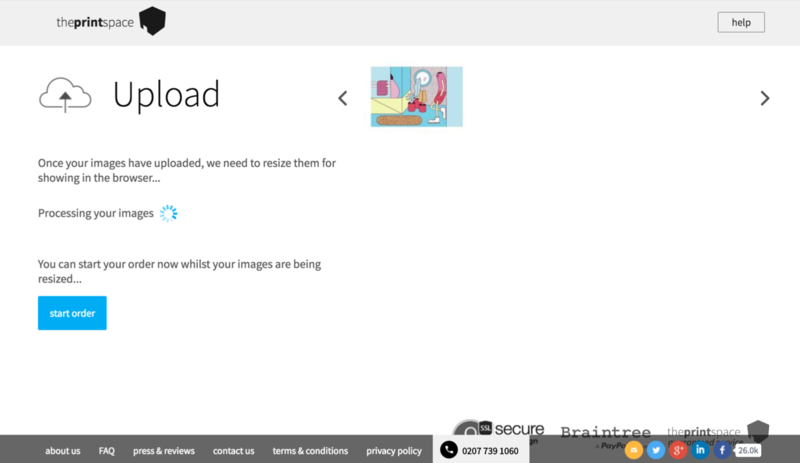 Now click on “upload (number of files, size of files)”. 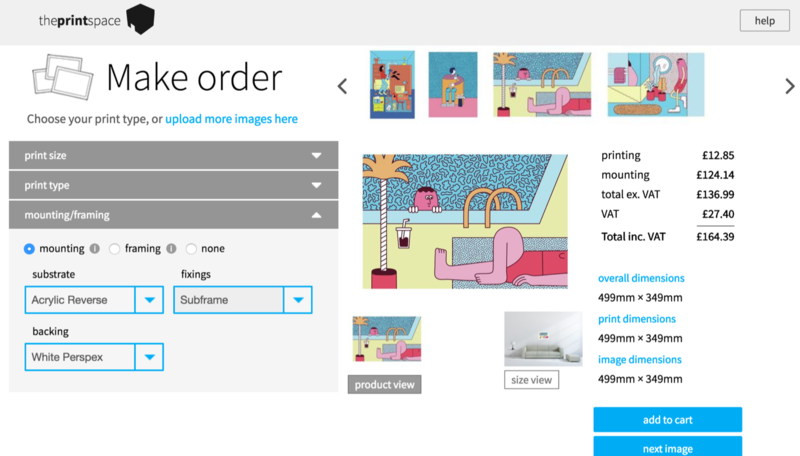 As you wait for your images to upload, you can already start your order while the rest are being processed. 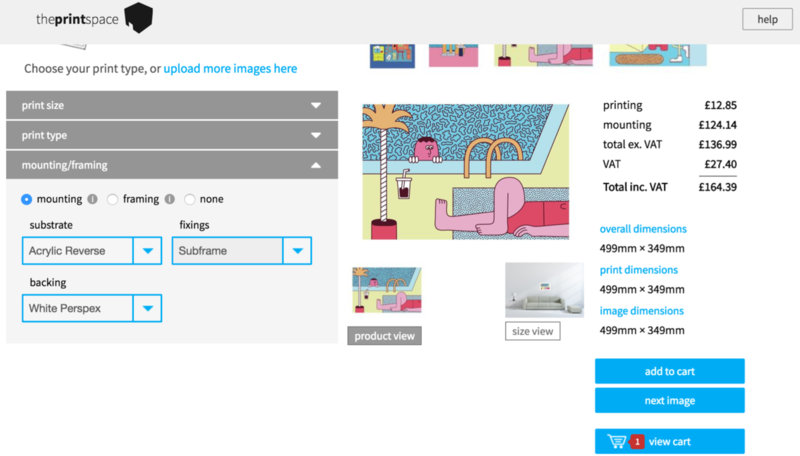 Once your images are uploaded, thumbnails are generated and all our service options are made available. 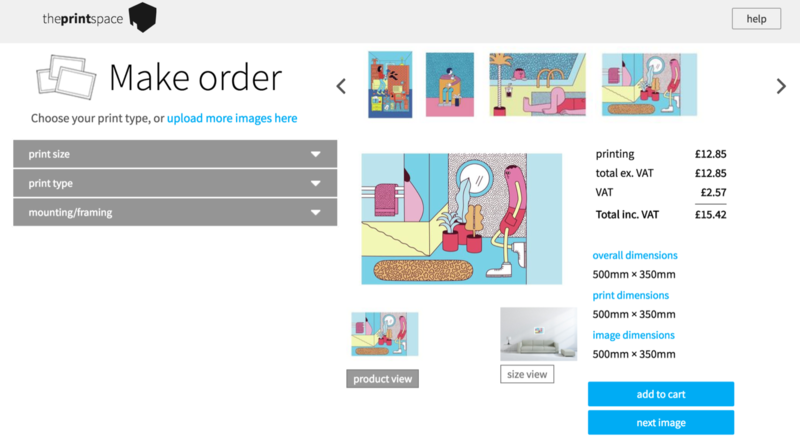 You can select print size, print type and mounting and framing options over here, and as you do you the price change accordingly. 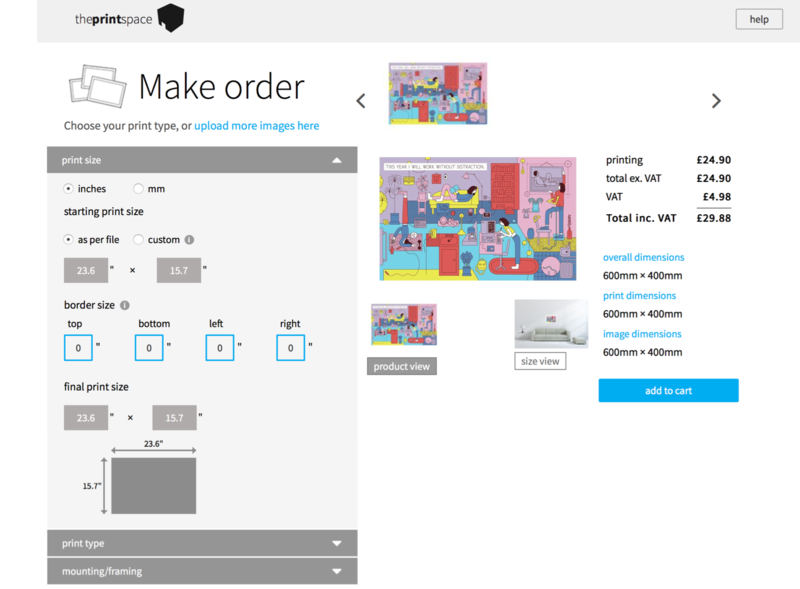 Use the drop down functionality on Print Size to adjust the print size and add borders. 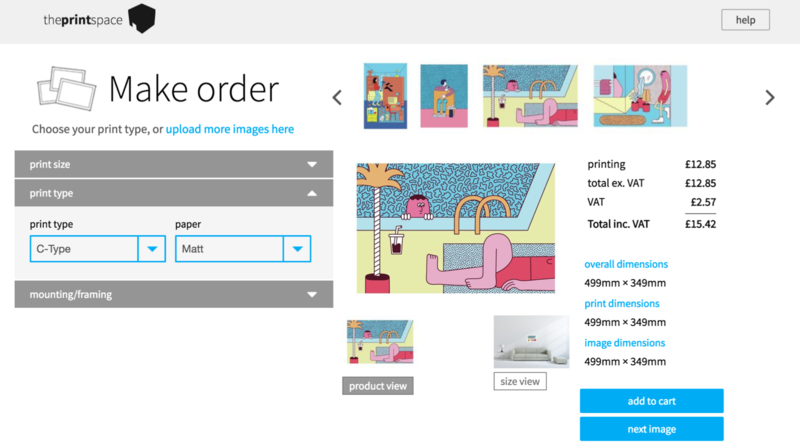 Click on “print type” to choose from 11 different paper types. As well as 7 types of Giclée, including Epson Semi gloss, Hahnemuhle Bamboo, Canson Baryta, Hahnemuhle Pearl, Hahnemuhle Photorag, Hahnemuhle German Etching and Canson Aquarella Rag. A summary of your order will appear on screen. 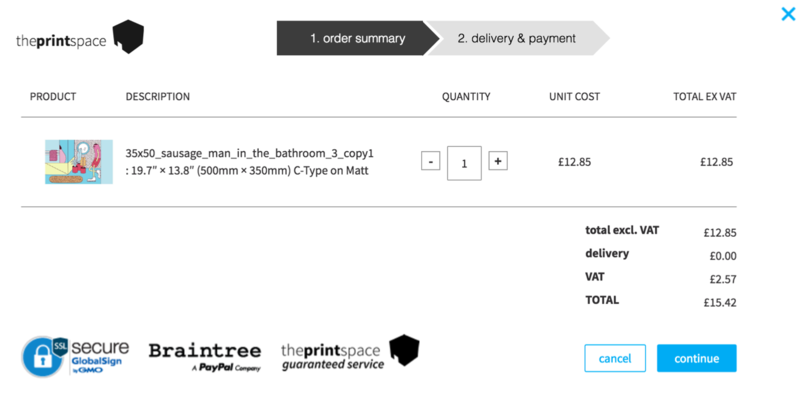 Click the plus and minus icons to adjust quantities or remove items from your cart. TIP - Have you selected the right paper type and size? 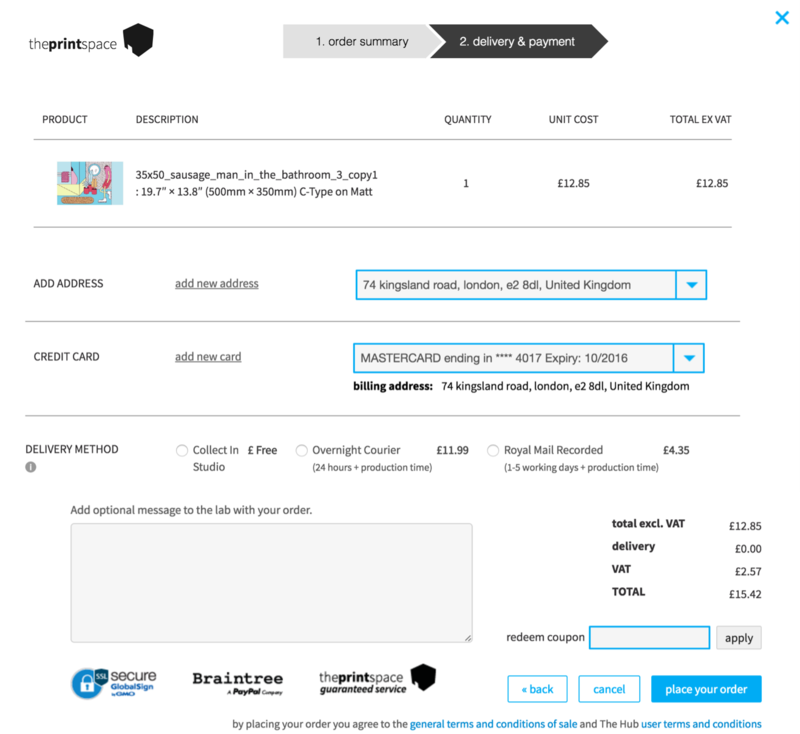 Please do check your order before confirming, mistake's can be costly however easily avoidable by checking your cart before ordering. When you are happy, click “continue”. If you already have an account, you should log in now. Or if you don’t, you can create one. 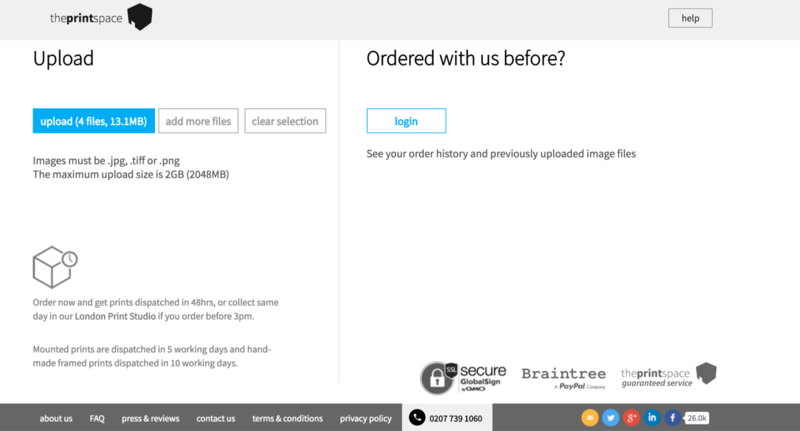 The benefits of creating an account are that we store your images for easy re-order. When you come back to the site, all you need to do is log into our hub account.